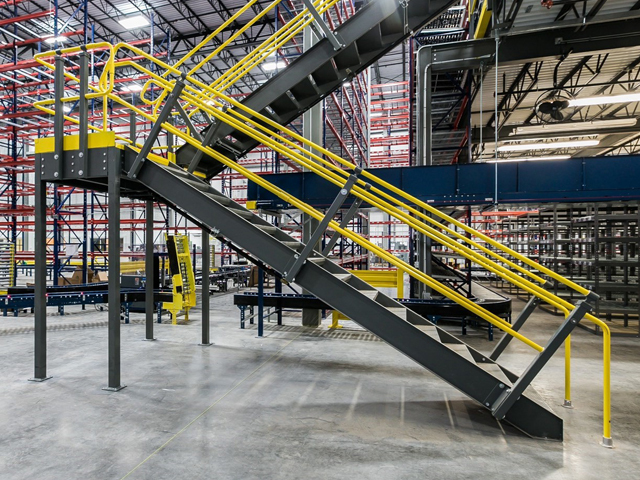 Wildeck custom, structural fully welded steel stairways are available to fit existing, new, or freestanding mezzanine installations. 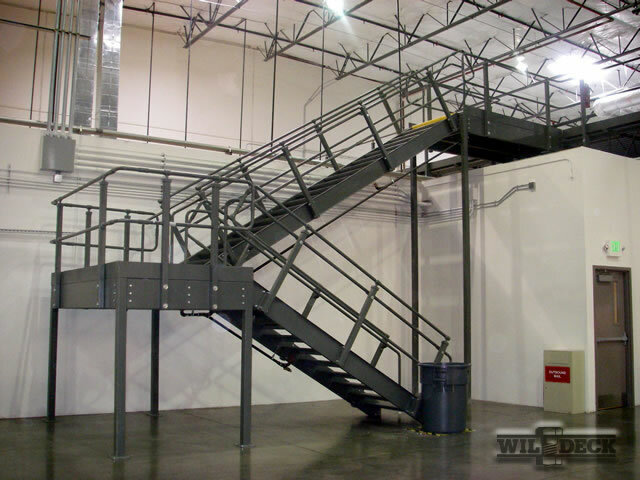 Wildeck provides the industry's best welded stair structures where the ultimate in strength and rigidity are required. The standard stair width is 36" with custom widths available for your application. 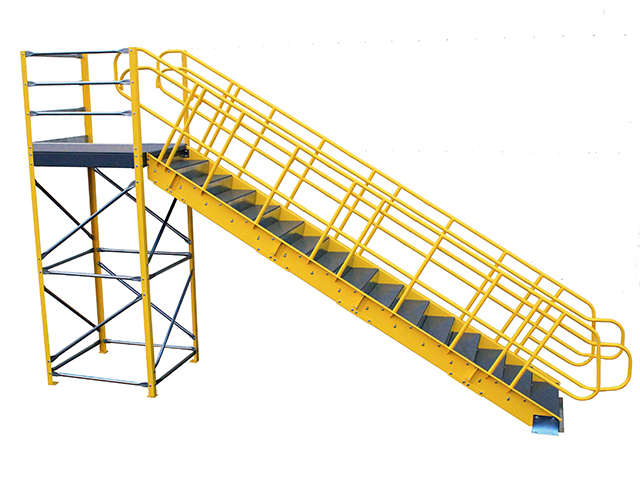 We offer bar grate and diamond plate treads with open or closed risers. 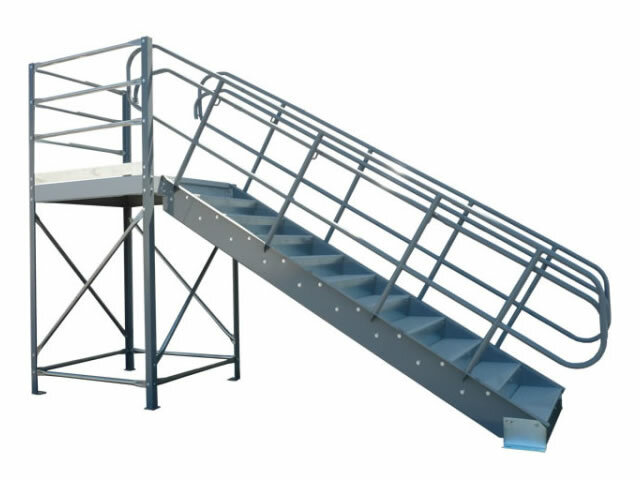 Wildeck's top-of-stair and intermediate platforms can be added to meet specific stair system requirements.